For years, builders, mechanics, shipbuilders, electricians, and anyone who was employed in the building sector did not realise the danger they were exposed to day to day, as they were all being exposed to asbestos without knowing the deadly effects it would have on their health. Even now in 2016, people who are renovating or demolishing older buildings have a very high chance of encountering asbestos. 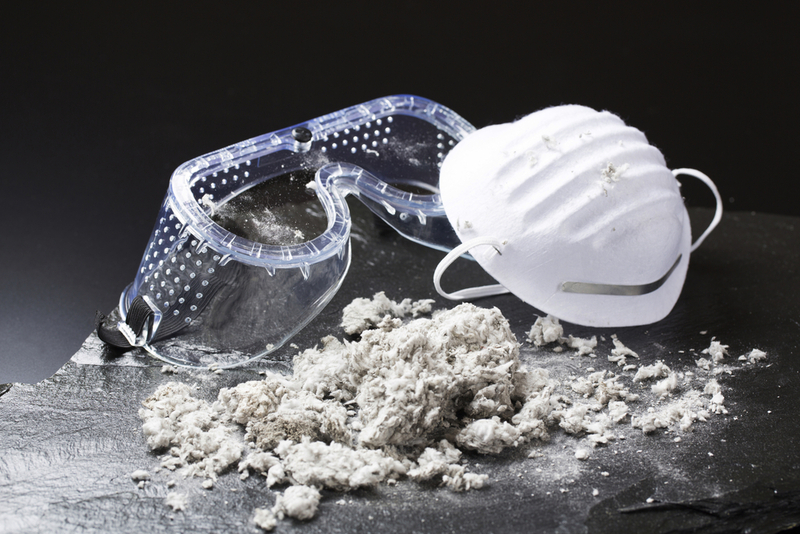 Asbestos exposure isn’t just limited to those who handle it directly since there are hundreds of cases of second-hand asbestos illnesses caused by the belongings of those who were exposed to asbestos, often getting ill from the clothing people wore while working with asbestos. Regardless of scientific research and studies, asbestos was still heavily used until it was outright banned in the late 20th century. Asbestos was heavily used in commercial products like wiring, cement, roofing materials, paint, hair dryers etc. so it still took decades for the use of asbestos to stop. Asbestos exposure kills over 3000 people a year in the UK, so asbestos is always a genuine and current threat. Removal of asbestos can’t just be done DIY. It takes trained and specialised workers to survey, examine and remove asbestos since any mishandling of the material can cause airborne transmission which is what you want to avoid since it is the airborne particles which will eventually kill you. Since asbestos is a silent killer, being colourless, odourless and tasteless, it is incredibly hard to realise that you have been exposed to it, so if you have found a spot of asbestos in your home, it is essential not to attempt to remove it yourself. If you are researching/searching up mesothelioma, then you have will probably have had some form of relation to asbestos. 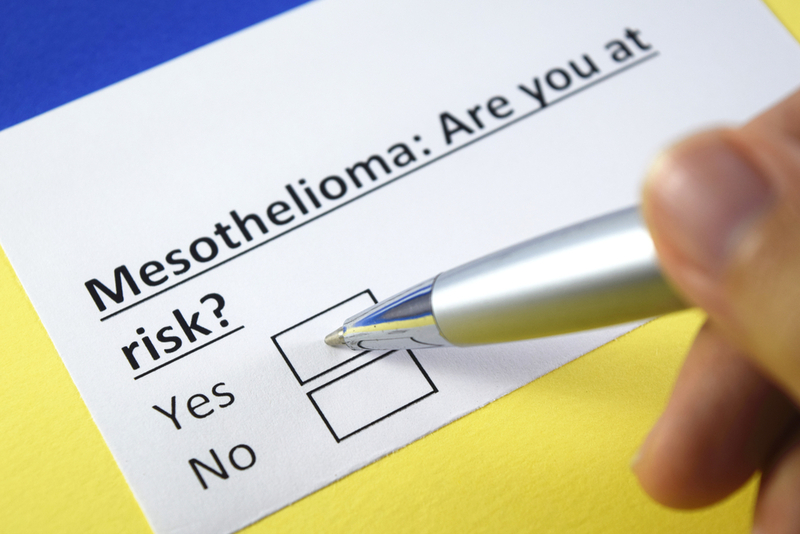 Mesothelioma is still deemed a rare form of cancer; however, people who were exposed to asbestos from a young age are more prone to developing mesothelioma later on in life. Asbestos was a widely used material post WW2 (1945). Mesothelioma years, if not decades to develop which is why we see a rise in mesothelioma cases in recent years. Through several independent studies and medical research, we know that asbestos is the cause of most cases of mesothelioma. In the UK, it is estimated that 9 out of 10 of people with mesothelioma have been in contact with asbestos. If you have any worries about your health or think you have asbestos on your property, then speak to one of our specialists so we can help you to render your home safe for you and your family. 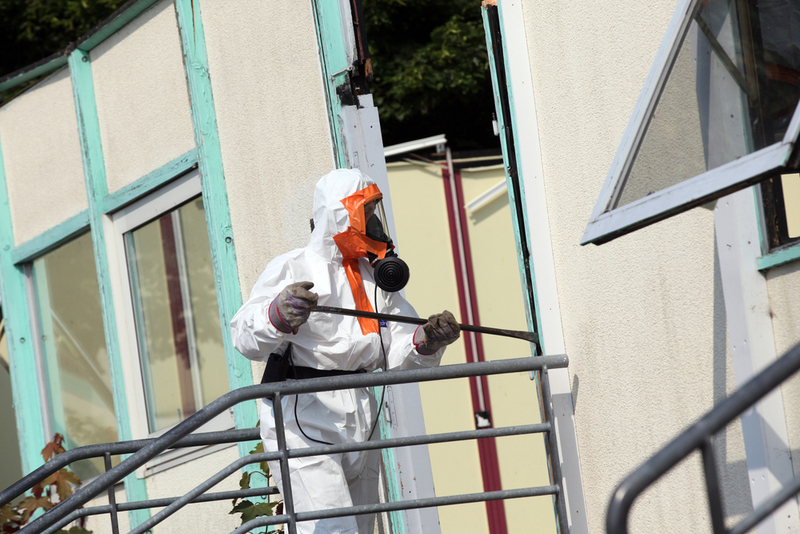 Visit our page on Asbestos Bristol for more information about our asbestos services. There are a few different types of mesothelioma, with the two main types being pleural which affects the chest and lungs, and peritoneal which affects the abdomen. You can also develop mesothelioma in your heart, which is called pericardium mesothelioma. Mesothelioma in the chest is a lot more common than mesothelioma in the abdomen, as the lungs are easier for the asbestos fibres to collect in. The most likely person to be affected by asbestos cancer is those who have worked in manufacturing using asbestos or those that worked in construction or engineering as these fields are going to have had long periods of time where they were exposed to asbestos. Asbestos consists of thousands of tiny fibres, which are small enough to be absorbed into the lining of your lungs (the pleura). These fibres are usually inhaled when you come into contact with disturbed or damaged. Asbestos or are exposed to asbestos by using it as a building material. The fibres slowly work their way into the lining of your lungs, which is where it can cause gene mutations which most likely leads to the growth of cancer. The diagnosis of asbestos cancer (mesothelioma) is increasingly difficult as it isn’t an overnight illness. The symptoms of mesothelioma are very similar to respiratory complications. Early signs of asbestos cancer could be mistaken for simple infections or even mild coughs. Mesothelioma should be something that should be checked for if you think you have ever been exposed to asbestos. A physician will be able to test and diagnose whether or not you have asbestos cancer. Asbestos as a substance can be stable as long as you don’t disturb it. This doesn’t mean however you are completely safe with asbestos in your home as unsealed or old asbestos can degrade, slowly releasing fibres over time. If you think you have asbestos in your home then it is best to have a professional surveyor and removal specialist to come and check your home. A4 Asbestos is the leading asbestos specialist in the South West, with hundreds of successful removals under their belt, they can survey, test and remove the asbestos in your home. Contact the expert team at A4 Asbestos if you think you have asbestos in your home. Cancer caused by asbestos takes years to develop, but you won’t know until you have your home, surveyed and tested. Make your family home safe by contacting a specialist now. Visit our web page for Asbestos Bristol or call us on 0117 259 1425 for more information.